Stay up to date on new releases, sales, events and news by subscribing to my newsletter. As a subscriber, you’ll also receive free gifts, including TWO books – Genesis: A Soul Savers Novella and Wonder: A Soul Savers Collection of Holiday Short Stories & Recipes. A fun collection of holiday short stories and recipes from Kristie Cook’s internationally bestselling Soul Savers Series. Last year’s shorts for Thanksgiving, Christmas, and New Year’s have been rewrapped into one big gift, along with NEW content. Bonus material includes two stories for Halloween – including a choose-your-own-adventure-type ending! Also, find recipes for each holiday, submitted by the most avid of Soul Savers fans. That’s 11 short stories and 48 recipes in one neat package ready for the holiday season. Be the first to know about upcoming releases and other book-related news. Find out about signings, conferences, sales, and other special events. Discover new-to-you authors and their new releases and sales. And most fun of all? Be the first – and sometimes the only – to read excerpts from WIPs (works-in-progress) and upcoming releases and full stories. Some of these will not be available to the public at all. I promise not to spam you! Newsletters go out approximately once a month, depending on what’s going on – sometimes it may be more, and other months I may skip. Your email address will never, ever be shared with anyone. Absolutely love your books!!!! Trying to write myself, but still love reading, so please keep writing!!!! Come to Canada please!!!!!! I can’t seem to get those free books can anyone help me out ? Please be sure to confirm your subscription then watch for the emails. You’ll get a welcome email and then within a few hours (may be up to 24) you’ll get the first free book. It’s a system and a process. If you don’t have the link to the first book after 24 hours, let me know. Thanks for reading! I’m now reading sins of don series and then I will have read all your books . I love them all and I’m 66years of age !!! I love them, Aunt Kristie!! Miss you, hope u r having fun!! I tried to subscribe. I keep getting an error. Is there a way I can fix this? I love your books! Just about to start Wrath! Love the series love your characters. I have a hard time putting them down after starting to read! a newbie to your books.I love them!! !..keep them coming,I can’t put them down! About to start reading the soul savers series for the third time. Absolutely love this series and can’t wait for the spin off series. Absolutely loved the soul savers series, read them all in record time. Brilliant stories, imagination and writing. Can’t wait for the next! I love your books your so awesome! I’m looking for the link to join the team to preview books and write reviews, but I can’t find it. I followed the link in my email, but still didn’t find it, only the street team page. I have read the Soul Savers series to the last book. Also read the book of Phonix. I love your books. Always waiting for the new ones. I would love to be picked for the review team. I love all your books! Kristie, two thumbs up!!! Love your books. I really like how your characters are using their powers and devoting their lives to help God. Don’t recall reading any books like these. You are now my favorite author. Thanks for the free books! I am new to your site and I look forward to reading these! Thanks again!! 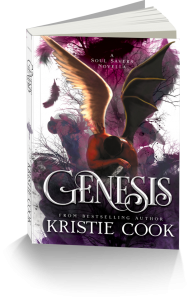 Love the Winterhaven series and now am starting the soul saver series…. Love your books…. I think I have read all of your books, love them and the way you write thank so much! Love the fact that you give free books. Just read “Demon’s Promise”. I’m hooked. Good read , Kristie. I’ve just read all of your books in two weeks. I thoroughly enjoyed them. Thank you for sharing them with us. Just finished reading A Demons Promise and signed up for the newsletter and the second book and Wonders but never got the link to download. Can anyone help me out on how to get them? Addicted and have to know what’s next!!! Love your work, keep em coming!!! 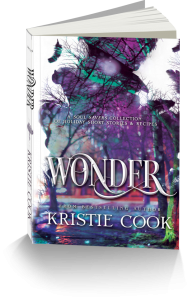 Kristie, your books are amazing. I have purchased ALL of the Soul Savers Series because I believe in supporting exceptional talent. I absolutely loved the first book and I can’t wait to read the second one. I have enjoy the books that you have written I love paranormal love stories.